The public unrest that swept across Iran starting in late December began as a protest against poor economic conditions, but it quickly turned into a call for an end to the country’s theocratic regime. In particular, discontent seems to have been fueled by what many protesters perceive as the Iranian government’s unfulfilled economic promises following the 2015 agreement with the United States and other world powers to suspend parts of its nuclear development program in exchange for an end to crippling economic sanctions. 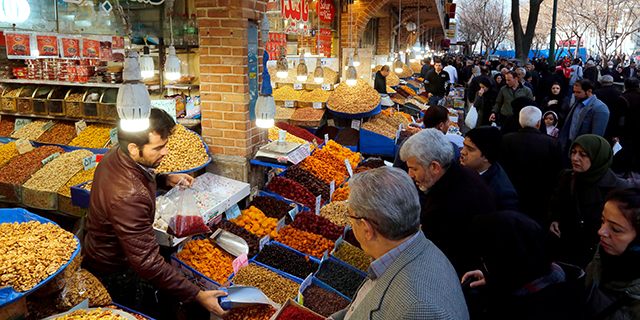 Here are five facts about Iran’s political, religious and economic situation. 1 Most Iranians believe religious figures have a role to play in government, but they’re divided on just how big that role should be. 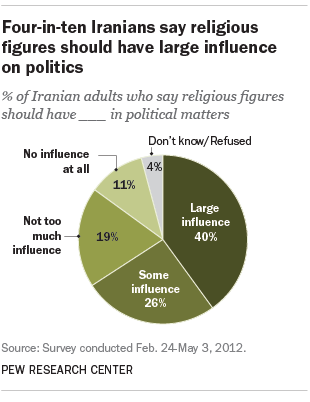 In a 2012 Pew Research Center survey, just four-in-ten Iranians said religious figures should have a large influence in political matters; 30% said they should have little or no influence. Younger Iranians, who had lived their entire lives under Iran’s Islamic Republic established after the 1979 revolution, were less supportive than their elders of a large political role for religious figures. 2Iranians are divided over how prevalent tensions are in their society between more-devout and less-devout Muslims, according to the same 2012 survey. More than four-in-ten said such tensions were “very prevalent” (14%) or “moderately prevalent” (30%). But nearly half said such tensions were “not too prevalent” (39%) or “not at all prevalent” (10%). 3 Iran is not only the world’s fifth-biggest petroleum producer (about 4.1 million barrels a day) and 12th-biggest exporter (1.3 million barrels a day), it also has the world’s fourth-largest stock of proven crude oil reserves: 158.4 billion barrels, trailing only Venezuela, Saudi Arabia and Canada. Despite its oil wealth, Iran’s economy has been turbulent for much of the past decade. It’s real (inflation-adjusted) gross domestic product fell in three of the four years from 2012 to 2015, grew by 12.5% in 2016 and is projected to have fallen back dramatically since then. 4In addition to being one of the most powerful countries in the Middle East, Iran is the global epicenter of Shia Islam. 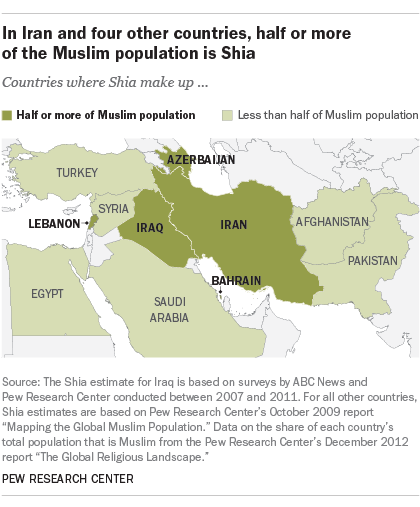 Between 90% and 95% of Iran’s roughly 80 million people are Shia, by far the largest concentration of Shia Muslims in the world. Iran has close relations with other countries in the Middle East and North Africa that have large Shia populations, particularly Iraq and Lebanon, and it is the main rival to the region’s large Sunni Muslim states, such as Saudi Arabia and Egypt. 5Iran has one of the largest and most powerful armed forces in the Middle East, according to data compiled by the military-research website Global Firepower. As of 2017, Iran had an estimated 534,000 active military personnel and 400,000 active reserve military personnel. The country spent an estimated 3.0% of its GDP on its military in 2016, according to the Stockholm International Peace Research Institute. Note: This is an update of a post originally published June 17, 2013.